1. 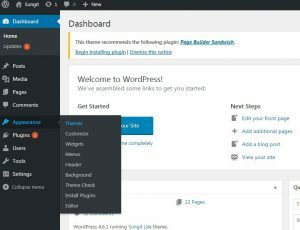 Open WordPress admin panel (navigate through a web browser to the folder where you have installed the WordPress e.g. www.yourdomain.com/wp-admin/ ) and go Appearance > Themes on admin sidebar. 3. Activate Charity Review theme. After Installing and activating the theme you will see the following message at the top of the admin dashboard page. This theme recommends few following plugins. Click the begin installing plugins link which will redirect to Install Required Plugins page. To install them just check all of them and from the drop down select install once. Even so, it’s not mandatory to install these plugins as they won’t be affecting the overall functionality of the site. Page Builder Sandwich: Page Builder Sandwich is quite possibly the last page builder you’ll ever need. With its front-end drag and drop capabilities, Page Builder Sandwich allows you to create and design your site the way your visitors see it. Get access to numerous features such as short code mapping, hassle-free and pop up-less editing, and more. With us, you’re sure to have a page building experience like no other. The Sungit Lite is designed in a way that the whole site can be optimized easily from Customizer. And these changes will be applied throughout the entire site. 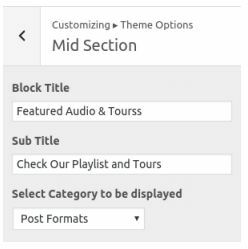 For customizing the theme options, login to your WordPress site’s admin, go to Appearance > customize. 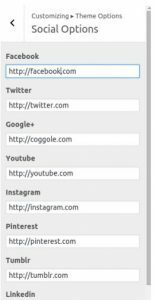 The ‘twitter’, ‘facebook’, ‘google+’, ‘youtube’, ‘instagram’, ‘pinterest’, ‘tumblr’, ‘linkedin’ has respective text fields where the respective links are to be kept in order to be displayed while clicking on the icons. Slider Options consists of category select option and number of the slider to be displayed option. Only the posts with the selected category are displayed in the slider. The number of sliders determines the number of slides to be displayed. The slider will only be displayed on the front page and Blog page. The Mid Section consists of Block title, Subtitle and Category select field. Only the posts with the selected category are displayed in mid-section. 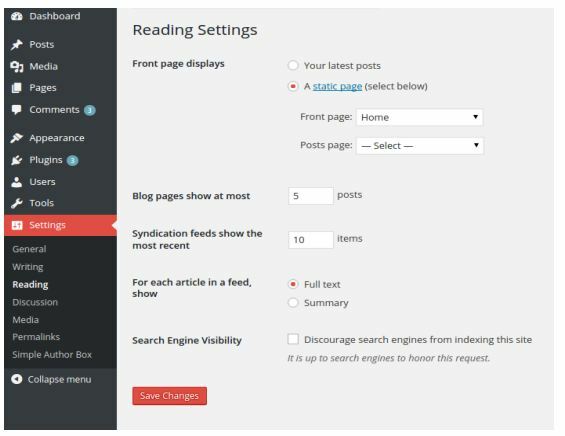 The Blog Options consists of Block title and Subtitle text field. It changes the blog section’s title and subtitles respectively in the Front Page. 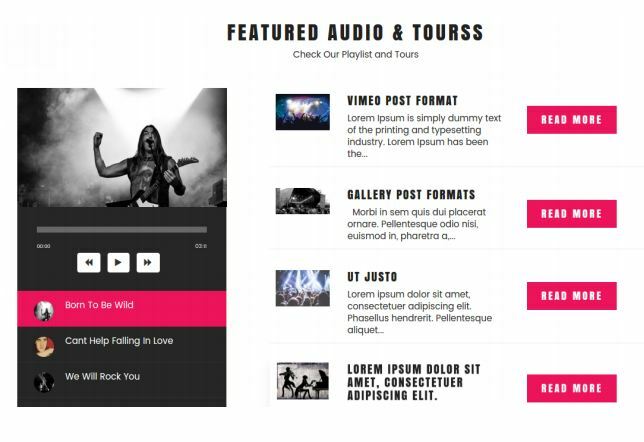 It consists of a text field which is used in the footer. 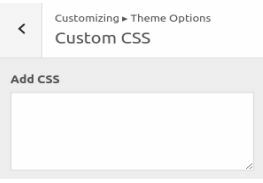 If you want to tweak your website by adding some of your own CSS then custom CSS is the perfect place. Primary Menu – Primary Menu appears is the Main Navigation which appears in the header of the site. templates on the right side. Full-Width Template – (Without sidebar) – Can be used to build an own customized page using Builder plugins. The top part of home template consists of the slider, mid-section and blog section. 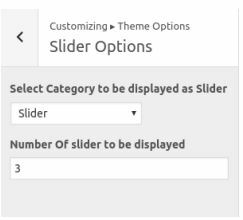 The slides can be added by selecting the category in customizer’s option. The mid-section consists of two blocks. 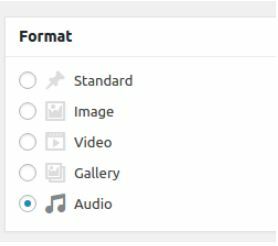 The left block consists of the audio playlist which can be added by selecting audio post format while creating posts and adding an audio file from add media option. The right block consists of posts which are displayed by selecting the category from mid-section. The blog section consists of a maximum of 8 posts which is displayed in slides. All the post except the category selected in mid-section and slider section is displayed in the blog section. The title, featured image and posted date are displayed for each post. click, the set featured image button. homepage and other pages. 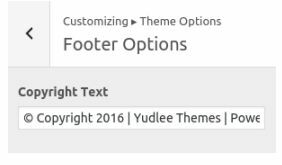 In footer region, you can add widgets in three different widget areas.